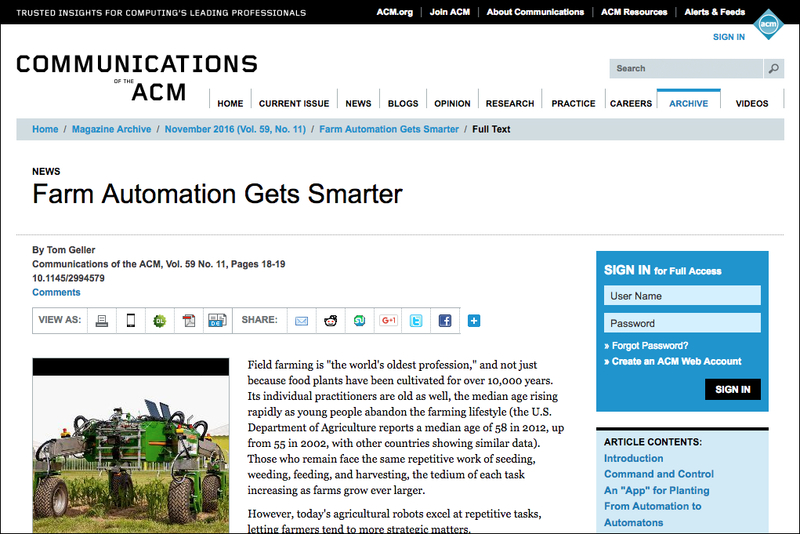 An interview-based news report about how automation is coming to large farm machinery (such as tractors) worldwide. 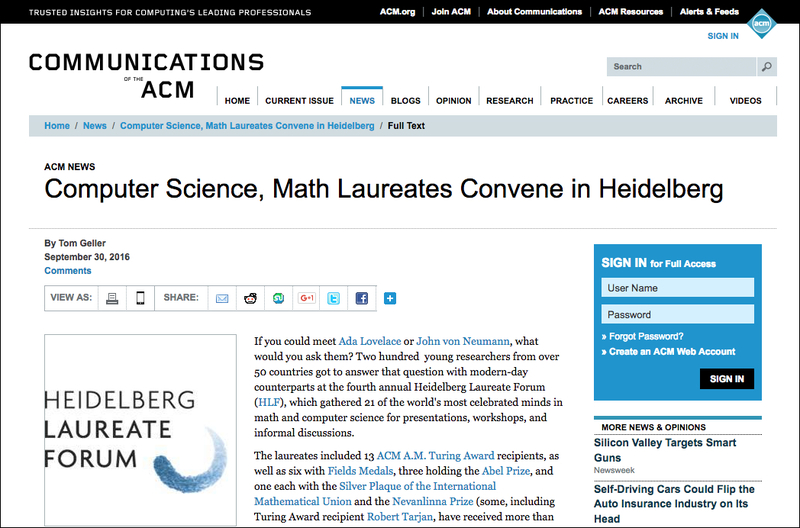 An online report on the Heidelberg Laureate Forum, which gathers recipients of the world’s most prestigious math and computer science awards (Turing, Fields, Abel, Nevanlinna) with 200 advanced young researchers. 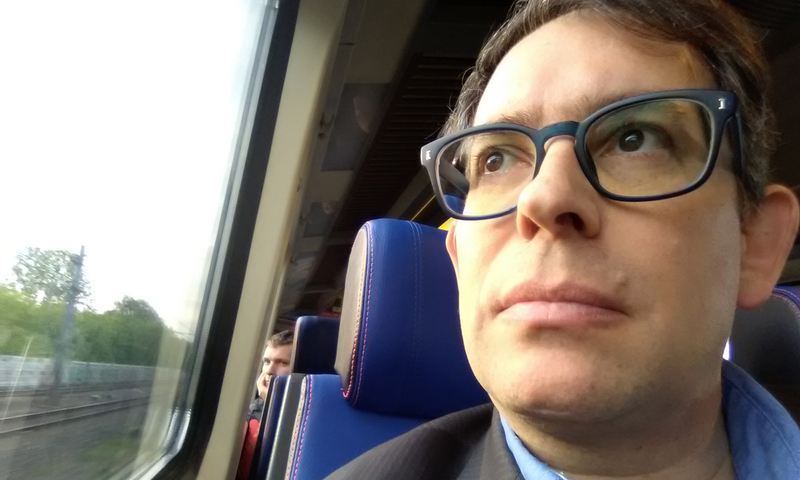 Includes two original photos. 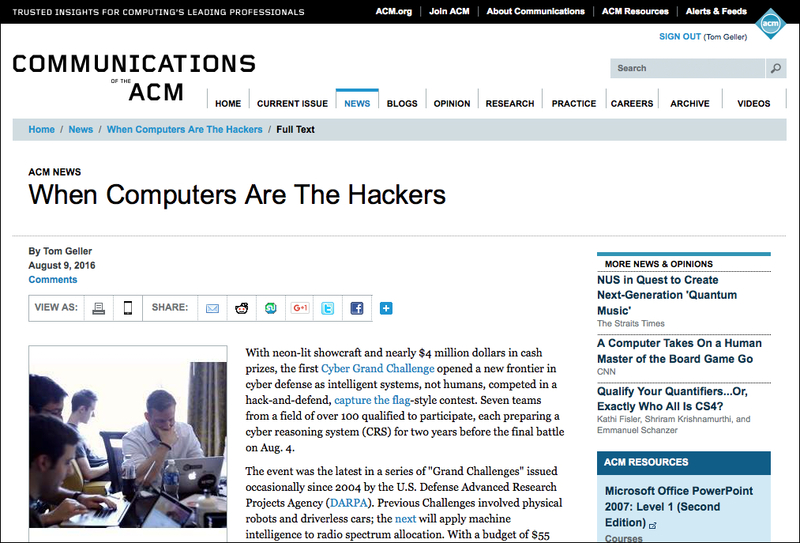 Coverage of DARPA’s Cyber Grand Challenge, a competition in Las Vegas where seven teams trained computers to hack each other for over three million dollars in prizes. Here’s the video I produced at this event.